MigrateMan is live! We are super excited to bring you a migrate tool you can trust - designed for bulk photo and video migrate from one online account to another. 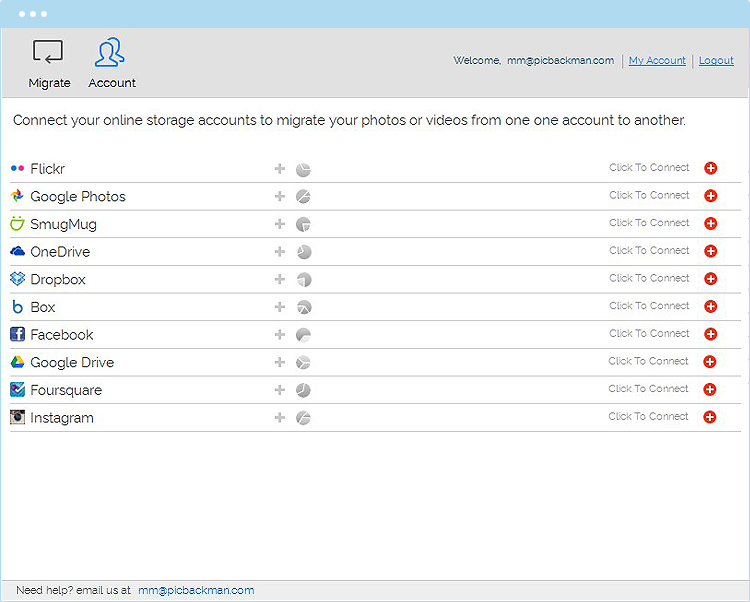 Our goal is to make MigrateMan the easiest, fastest and richest migrator for every user to manage their photo and video collection online without having to spend hours and hours tracking uploads, removing duplicates and so on. Please download MigrateMan today and take it for a spin. We would love to hear your feedback and want to work closely with the online community to learn how we can make MigrateMan better every day. Please share your feedback and suggestions with us at mm@picbackman.com.